Comment: I have a wrought iron fence in my backyard 17-yrs old and part of the posts and fencing has rusted out and needs to repaired and/or replaced. Comment: Need about 56 feet of total fence installed. 8 of that to be a gate. One side can be tied into neighbors fence. Need 7 or 8 posts to hold fence and gate. Neighbor has arched fence pattern so would be interested in pricing on that or regular. Comment: We we would like to put it in a 6 foot wooden privacy fence around a portion of the back yard. We take possession on the home on Friday May 3 and will be move the following weekend, so would like it completed between May 3 and 11, if at all possible. N. C. Trevino Construction, Inc.
Birmingham Fence Contractors are rated 4.67 out of 5 based on 624 reviews of 44 pros. 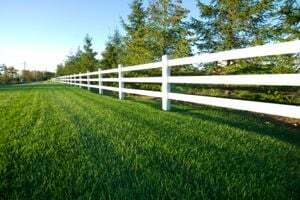 Not Looking for Fences Contractors in Birmingham, AL?